Papua New Guinea does not have any trade bans to protect PNG industries says the country’s ambassador to the European Union Joshua Kalinoe. “As the country’s Ambassador and Permanent Representative to the WTO in Geneva, I can confirm that. “Papua New Guinea is compliant with the multilateral trading system. “We are playing our part within WTO rules in removing trade barriers, including in the tariff regime as well as to participate in the DOHA round on the outstanding issues in agriculture and services. This process is taking place in Geneva,” the Ambassador said. 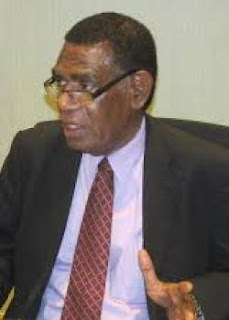 Kalinoe was responding to comments that had been made by Australian based economist with the Australian National University (ANU), on the issue of Britain’s exit from the EU (Brexit) while also the Trans Pacific Partnership (TPP) Agreements and the likely implications on the PNG economy.